Mark & Pauline Newbold welcome you to The Star Inn in Treoes – a highly acclaimed and award winning pub & restaurant. It’s reputation is second to none and it’s food and quality of service is highly regarded. The menu is interesting, diverse and inventive and the staff are all knowledgeable and expertly trained. Experience it for yourself. Call 01656 658458 to make a reservation. The Star Inn also has two sister pubs, The Ivor Arms in Brynsadler and The Carne Arms in LLysworney which have the same high standards and exciting menus. “As a group of friends we arrange an evening at the Star Inn, Treoes to catch up with some friends who were visiting from Australia. It has been a number of years since I last visited this pub, but walking in to a much brighter and more welcoming decor was a great start to the evening. as a group of ten we took up a big area by the bar and as conversation carried us past our booking time, we were eventually guided to our table by the staff. The food was excellent, and staff were very attentive. Leaving time between courses to continue talking but not leaving us waiting for the next course. By the time we left the pub, we were the last customers and it was getting late, staff were obviously eager to close but that was never forced on us. 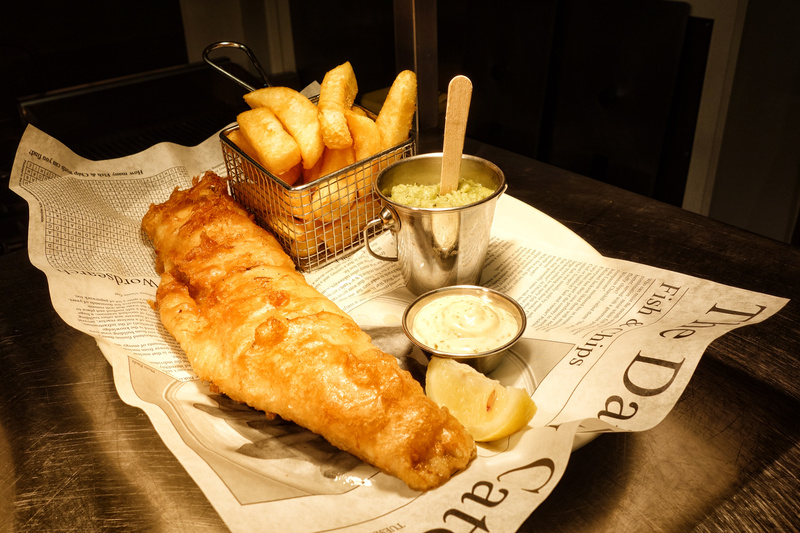 “The Star Inn is very close to home so I was delighted to find that the meal was excellent. We chose from the specials board and they were excellent. My husband had the scallops as a first course and they were cooked to perfection. Venison pie to follow was succulent and more than plentiful. Chips were served in a littly fryer and were crisp and hot. We were too full to eat a pudding but based on the rest of the meal I am sure that it would have been great. Service was attentive and we were served at a comfortable rate. No rushing between the courses or having to wait a long time either. Parking is at the rear of the pub and it is a little on the small side. Street parking very limited as it is in an old village. “Mark, the proprietor, has achieved a wonderful restaurant with excellent food and good surroundings. The unusual menu has been well thought out to offer something for everyone. “Attended with friends after booking a table a few weeks ago. The Star is a busy establishment and on arrival we found that the table was booked for yesterday and there was no room in the inn! This was a mistake by The Star not us but what I will say is they took fill control of the situation apologised and explained they will feed us as soon as possible. They provided us with the most outstanding nibbles (basically all of there sharing starter range) as well as drinks. Quickly a table became available in the restaurant area and we moved. ALL the food was OUTSTANDING and PLENTIFUL and the service exceptional. We spent a good 4 1/2 hour’s and frankly can’t fault them. Yes a mistake was made, but they knew it was a Saturday night 8 hungry people and it was wet miserable and cold outside. Many establishment’s need to take a leaf out of their books!! “The atmosphere of the small country pub is cozy and warm, with friendly and attentive waiting staff, on this particular visit we were served by Meg (3), who made sure our glasses were filled and the meals were cooked to our liking. On top of this, the food served is always of a fantastic quality, and the portions ample enough to fill.